Guaranteed to make you feel good and lifted is this incredible line up as the 2018 Reggae On the Rocks takes place! A real treat for Reggae music fans as the talented Rebelution, Stephen Marley & Common Kings all come to perform at Red Rocks Amphitheater on Saturday 25th August 2018! Stephen Marley is on an extensive tour and brings his roots to the live stage!! Get ready! Since their debut back in 2007, they have become a permanent long standing name on the music scene, both through their studio releases and live shows, not just across North America but around the world. Back in 2015 hot off the heels of the announcement for their highly anticipated new album, Count Me In, Rebelution announced a Summer Tour, that of course travelled far and wide and stopped off at Red Rocks. The following year came their most recent, 'Fall Into Place' winning them yet another Grammy Award! Built from diverse musical backgrounds, Rebelution are united by a shared passion for reggae, their 2009 follow-up, Bright Side of Life, topped Billboard's Top Reggae Albums chart! 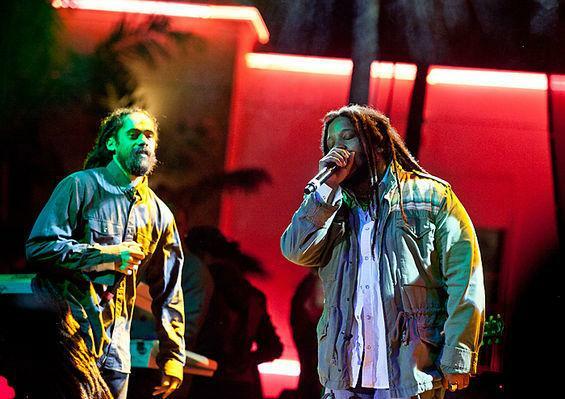 These Cali roots rockers are a must-see for Reggae fans! !